In 2017 Alex is competing in the European Le Mans Series in LMP3, Michelin Le Mans Cup and Radical Sportscars. Follow his journey here and also find out a bit about each of his sponsors. Alex is well known as a prototype specialist and has experience in LMP2, LMP3, LMPC, Radical Sportscars as well as GTE, GT3 and GT4. After a promising early career in single seaters Alex was forced to stop racing due to lack of funding. A few years later and he was back and winning in the Pro-Am world of Radical Sportscars where he was able to race as the professional driver alongside amateur co-drivers who wanted coaching as well as a co-driver. 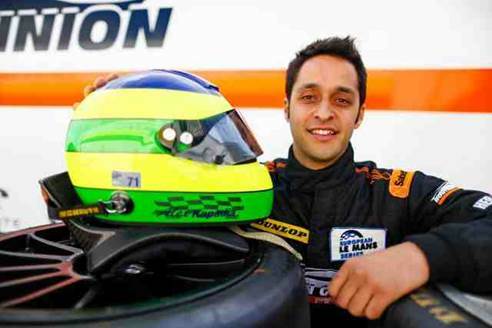 Alex finished 2nd in the Radical UK Series in his first year and won the European Championship in his second year. Ever since Alex has specialised in racing with and coaching Gentleman drivers in the different sportscar series around the world. Alex has an ambition to be a class winner at the greatest sportscar race of them all, the Le Mans 24hrs. In 2015 Alex made his debut at Le Mans with the Taiwanese AAI Motorsport Squad. Despite a fire in qualifying the team were able to rebuild the car and Alex finished 8th in class. The following year was busy with offers of drives across the globe in Asia, Australia, Dubai and Abu Dhabi as well as finishing 2nd in the Radical European Masters in 2016. 2017 is a big year with full season drives in three different series. Follow Alex’s journey here or on social media.